What is Nokia Ovi Suite? Nokia Mobile Corporation has launched Nokia Ovi Suite for their users, this is official nokia program that manages all your phone contents. You should have to download first and installed on your computer windows. Nokia Ovi suite is famous PC program in the world, which synchronize data with PC windows. By using Nokia Ovi suite you can download apps, games, music apps, mail clients, from the Nokia Ovi store to increase capabilities and performance. You should also synced music files, videos files, contacts, messages, apps, games, with your computer from mobile device. Today we are introducing and uploading world downloaded program, which is manufactured by Nokia Microsoft. If you have any older Nokia phone then it does not support for older nokia phones. Because in this latest version the developers has include lots of latest and high programing features which can’t support for older phones. Nokia Mobile phone is one of the best and popular mobile company in the whole world. Nokia Microsoft was popular by its windows phones and java phones, but before few year nokia has bad luck when android launch in market and manufactured Android OS smartphones which unique technological features which compete Nokia phone, and no one are interested to use Microsoft phones that’s why facing loss. But in present market Nokia has manufactured and launched Android phones like Nokia 5, Nokia 6, Nokia 8, Nokia 2, and Nokia 3 with very high technological features. Nokia PC Suite allows to synchronize with Microsoft outlook easily via windows contacts. You have to be synchronize your Nokia phone with PC home through Bluetooth, or USB data cable. It can also allow to manage your phone through using your CPU (Central Processing Unit). So If you got an Nokia phone you need to transfer/synchronize your phone content for PC home then Nokia Ovi Suite is the best choice for you. Download Nokia Ovi Suite from below download link which locates at the last of this landed page. Nokia Ovi Suite is actually windows PC application, you should download and install it on your PC home and start working with Ovi suite. This brilliant utility enables you to upgrade your phone firmware from PC and convert it to latest version. You have to be performed many functions in your PC to manage Nokia phone, like download new apps and games from Nokia ovi store. There is famous features, multimedia file manager convert their format to the suitable for your Nokia phone. Its main functionality is to create backup for your secret information. Before download and installed Nokia Ovi suit software you must check its features from here. 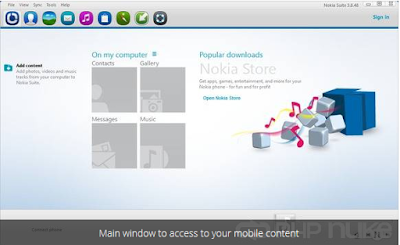 Nokia Ovi Suite is compatible with all windows operating system, it is totally free program no any cost charges for download and install, just you have to follow instructions and get full setup of Nokia Ovi Suite. 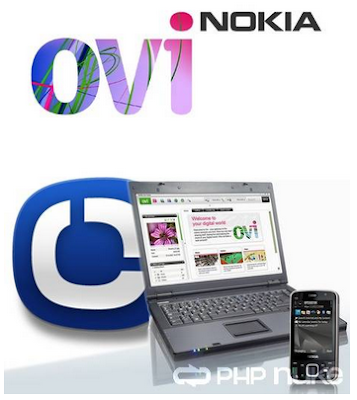 This program is licensed as freeware and there is no restriction for using Nokia Ovi suite. So fell aweless to download and install from this landed page. Some supported windows OS are as under. Note; if download link does not work against infected files, or expire then tell us in comment section, we will change its download link to saw your response.